Winner in our Bell 'Ocean Blue' Samsung Galaxy Note 9 Contest! This final contest of 2018 is now over. We are pleased to announce that Treg Johnson has taken home this prize! No worries if this was not you as we have plenty of contests lined up for 2019! 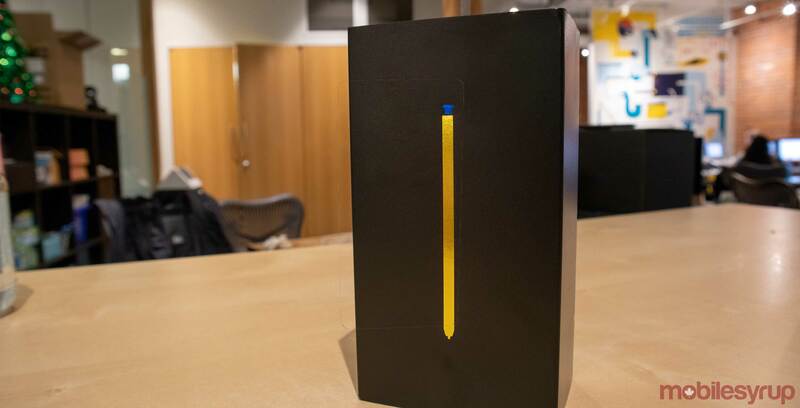 The Samsung Galaxy Note 9 has been available since August. The phone offers a solid Android experience with a speedy processor, 6GB of RAM, a 4,000mAh battery and the Note’s signature S Pen. Unfortunately, like many of 2018’s flagships, the Note 9 is one of the most expensive phones of 2017. With this in mind, it’s a good thing our friends at Bell hooked us up with one to give away to a lucky MobileSyrup reader, just in time for the holiday season. All you have to do is follow us on Twitter, Facebook, Instagram, or YouTube through the Gleam entry form below and also leave a comment below telling us what you like most about the Samsung Galaxy Note 9.